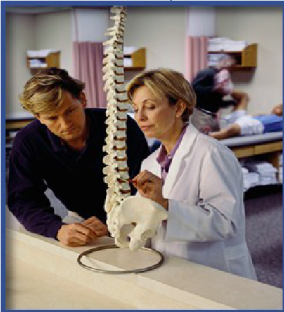 Do Most Physical therapists Treat Back Pain Incorrectly? Home Blog Do Most PTs Treat Back Pain Incorrectly? In December 2012, Spine published a study wherein Julie Fritz and colleagues review the billing records of 32,070 patients who received a primary care consult for low back pain (LBP). Last month, we reported to you the conclusion that waiting to make the physical therapy referral increased overall health care spending by an average of $2,736. Patients who receive physical therapy within 14 days of their primary care consult spend less on health care while patients who receive physical therapy between 15 and 90 days of their PCP visit spend more. This large review adds to the growing body of evidence supporting the trend toward early PT referral. Physical therapy guidelines recommend an active approach for low back pain, from the acute phase forward. There should be an emphasis on helping patients improve activity levels. Previous studies link an early, active approach to better outcomes with reduced costs. The thousands of billing records reviewed by Fritz and colleagues suggest that 79% of LBP patients receive primarily passive therapies from their physical therapists for the first two weeks of therapy. Patients who received only one physical therapy visit were excluded from this observation. Researchers analyzed the CPT codes submitted by physical therapists to determine if guidelines for active treat-ment were being followed. Even “self-training management” was accepted as an active CPT code. While the national average for active, guideline-compliant care was 21.5%, the Northeast was the worst area of the country. Physical therapists in the Northeast only provided guideline-compliant, active care to 16.8% of LBP patients. Women were less likely to receive early, active care than men. The current study adds to the body of evidence demonstrating that active physical therapy in the first two weeks improves outcomes.